Imagine being a well-respected intellectual who worked diligently to improve the perspective of generations but was never able to use the fruits of your labors to purchase your dream car because it’s illegal for you to drive. 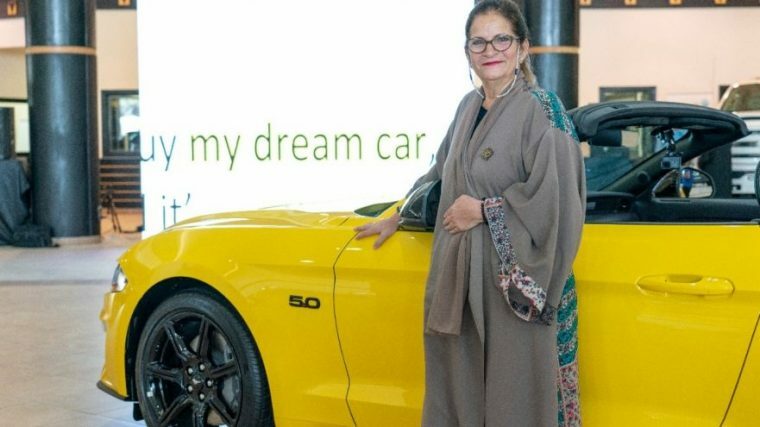 You now have some idea of what it’s like to be retired English literature professor and women’s rights activist Sahar Hasan Nasif, who was unable to so much as drive a car in her native Saudi Arabia due to its ban on women drivers. 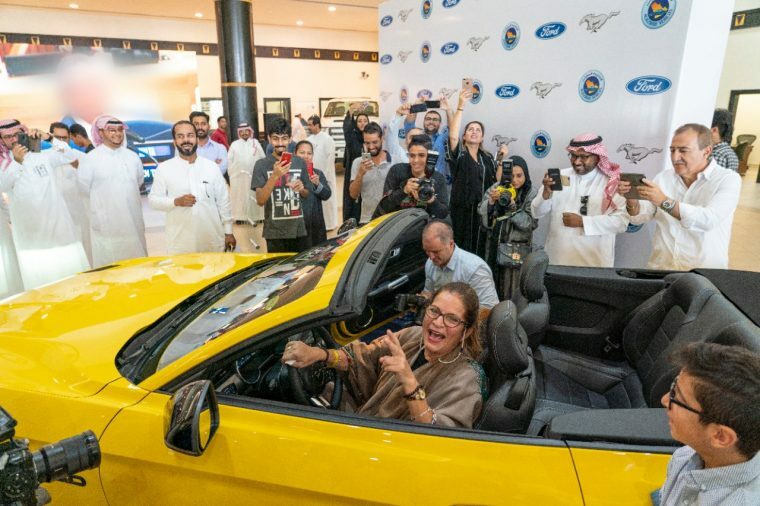 That story changed last month when Sahar was the guest of honor at a special ceremony in Jeddah where Ford importer Al Jazirah Vehicles Agencies Co. gifted her with the car of her dreams: a 2018 Ford Mustang GT convertible in Triple Yellow Tri Coat. 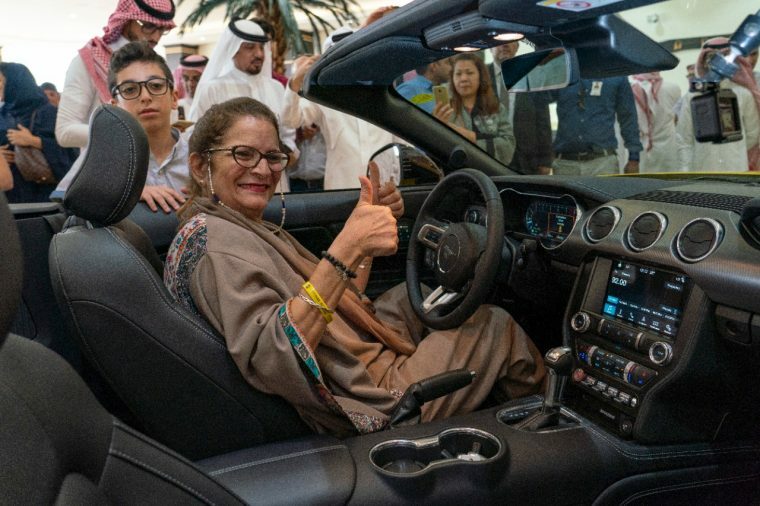 Ford Middle East responded by ordering Sahar a new Mustang GT convertible that matched the description of the one she fell in love with nearly 20 years ago. This particular Mustang GT is also equipped with a black accent package, which includes black 19-inch wheels, a black rear spoiler, and black badges, as well as an Ebony Black Premier Trim leather interior and a 12-speaker Shaker Pro Audi System. As far as Sahar’s first actions after taking delivery, she had already had her mind made up.